You can mix/match Our Cross, Jonah, Winchester, 3D Deer and 3D Bass for the Quantity Discount. The system will automatically calculate the discount for you. We broke these out by tube so you don't have to buy 20 leads at a time. A handy container that has both the 0.7mm lead and the Erasers that fit the Slimline Pencil kits. Sold by the single pack. There are 24 Leads and 6 Erasers in each pack. Color of cap is grabbed randomly so if there is a color you absolutely don't want, make a note in the comment section on your order and we'll accommodate you if we can. PSI no longer carriers the PK-CLIPI so we are getting them directly from our Manufacturer. It's the same clip, just from our supplier vs PSI. We've had so many requests for the Gel "Click" Pen replacement Mechanisms....we finally were able to get them. Cleaned,Tumbled,and trimmed. Ready for those of you that want to create your own version of the 50 Caliber Pen. These are spent cartridges that may have scratches you'll need to polish out. Let your imagination soar! Eraser refills for the PKBFPCLCH - Buffalo "Bullet Pencil" kit. It includes the threaded insert and clip washer. This enables you to covert your 7mm Kit if you prefer the screw in Stylus over the Press Fit Stylus. To convert you will press the threaded insert into your tube instead of your cap. You will then press the washer insert into the larger hole on your clip. Last step will be to screw the stylus cap (NOT INCLUDED - PURCHASED SEPARATELY. Item: PKTSTX24BK or PKTSTXCHBK) into the threaded nut. Black Cap for Desinger/Euro Pen Kit. Breast Cancer Awareness Pen Clip - Our own Design! The Ribbon inlay that we designed is so popular we decided to create the same original design in a clip! 10% of the proceeds from this clip will be donated to our local Breast Cancer Foundation. This clip fits 7mm pens. We now carry Parker Style Refills Blue Ink and Cross Style in Red ink!. What a great clip for all those football fans! Fountain pen cartridges, Black ink, package of 10. Individual Twist Mechanism for our Hobby Line 7mm kits. Individual Center Band Assembly (Disc/Center Band)for Hobby Line Cigar Pen Kits. Individual Center Coupling for our Hobby Line Cigar Pen Kit. Individual Clips for our Hobby Line Cigar Pen Kits. 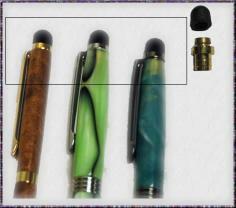 Individual Pen Tips for our Hobby Line Cigar Pen Kits. Individual Twist Mechanism for our Hobby Line Cigar Pen Kits. Individual Center Band for our Hobby Line Comfort Pen Kits. Individual Cap Screws for Our EURO Kits. This is the piece that screws on to the cap to hold the Cap/Clip in place. Individual Center Bands for our EURO Kits. Individual Clips for our EURO Kits. 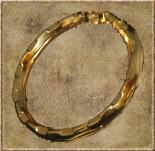 Individual Center Bands for Hobby Line Fancy Slimline Kits. Individual Clips for Slimline Pen/Pencil Kits. Individual Center Band for our Hobby Line Slimline Pen Kit. Individual Clips for Hobby Line Fancy Slimline and Comfort Pen Kits. These are used with PKTSHW which are SOLD SEPARATELY! Convert any 5.6mm lead pencil into a pen. Insert uses the PKMINI Refills. info. on which kits use this refill. This in the mini refill guide. It fits all kits that use the Mini Refills except the Lipstick pen Kit. Package of 2 replacement tubes. These Monét tubes are for the new Version of our Monét kit and are 1/16" shorter than the Gatsby tubes. We've designed our own 7mm Clips! This is the first of we hope to be many clips that we have custom designed with our manufacturer. It was quite the education. Note: The clip of the Flower is wider than your standard Slimline Clip so they would look best on a pen turned a little thicker. Fits pens that use a Parker Style Refill. We now get Black & Blue direct from the manufacturer and are passing the savings along to you! We now get Black & Blue Gel refills directly from manufacturer please see image below this one and order those to receive the savings. Replacement Bolt Action Powder Coated tubes. Two pieces per package. PSI No longer carriers the 308 Rifle Clip with stock point up. We will now be getting them directly from our Manufacturer. Look to the right of this item and you will see the clip. Click on product name for more info. If you are looking for something a bit more fancy to add to your Slimline Pen or Pencil. Refillable Fountain pen cartridges - Suction Filling from your ink bottle. 5 per package. Individual Spring for any kit that uses a Parker Style refill. 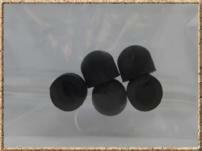 Package of 5 Replacement tops for Our Soft Touch Stylus Tips. Replacement 8mm tubes for seam Ripper Kits with the Single Small Blade. 5 tubes per pkg. SOCIETY LADY PEN CLIP - OUR OWN DESIGN! We've designed another awesome clip! Match this up with our AA48 Blank and a pen kit, you now have a clip that resembles a very popular ladies social club. Super Fast way to convert any Pen that uses a Cross Refill to a Stylus! SUEDE TEXTURED PEN SLEEVES-THREE COLORS! A Simple inexpensive yet nice looking way to carry pen. Great to use as a "gift" when customer purchases a nice pen from you. Will fit pen sizes from Slimline right up to a Cigar pen. Workshop Pencil will write on metal, glass, paper, or on anything! 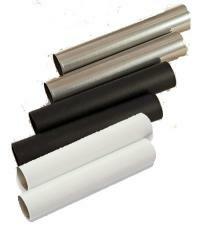 5.6mm x 80mm lead. Colors: red, green, blue.